Portable storage devices have come a long way, and these days it's easy to go out online and buy a reasonably slim 1TB unit with USB 3.0 connectivity for less than £50. 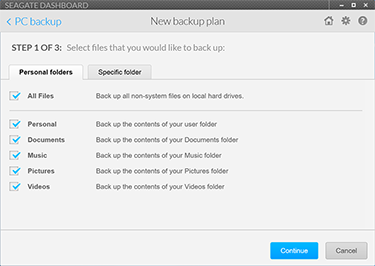 But there are some challenges remaining at the top end of the market, and in particular, storage manufacturers have until now been unable to power high-capacity desktop hard disks from a single USB interface. That particular hurdle has been overcome by an innovative external drive from Seagate that offers a massive 8TB of capacity in a stylish caddy whose power and data-transfer requirements are met by a solitary USB 3.1 Type-C connection. Fittingly dubbed Innov8, Seagate's new device claims to be "the world's first USB-powered desktop hard drive" and has been dressed accordingly. Fashioned in partnership with San Francisco-based Huge Design, Innov8 measures 208mm x 123.6mm x 36mm and employs a solid aluminium enclosure that really catches the eye. 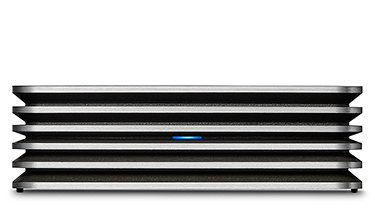 Aesthetics probably aren't the first thing we consider when purchasing storage, but it has to be said, Innov8 is one of the best-looking external drives we've seen. The industrial look and feel is right up our street, and if you're fastidious about your tech, you might like the fact that the enclosure's six layers represent the underlying hard disk's number of platters. It's a pretty-looking thing, no doubt, but don't assume that external necessarily means portable. Innov8 doesn't fit particularly well into my streamlined laptop bag, and given that it tips the scales at 1.5kg, I'm not sure I'd want to carry it anywhere on a regular basis. The drive is actually a fraction heavier than my ThinkPad X1 Carbon Ultrabook, and do note that it isn't backward compatible with USB 3.0 or 2.0 devices as neither port will deliver sufficient power. 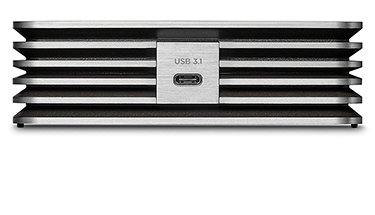 This is a desktop solution first and foremost, and Innov8's claim to fame is the ability to power an 8TB drive via a single USB 3.1 Type-C interface. So how does it do it? 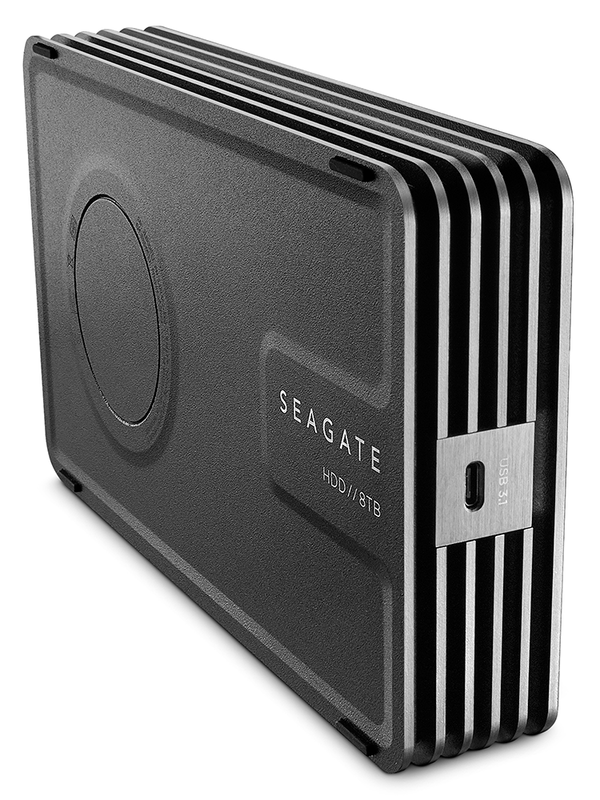 On the inside, Seagate is making use of its existing 8TB Archive hard disk (model number ST8000AS0002). Said drive offers increased areal density courtesy of Shingled Magnetic Recording (SMR) technology, however the Archive HDD's power requirements should, in theory, fall outside the remit of a sole USB port, so what gives? 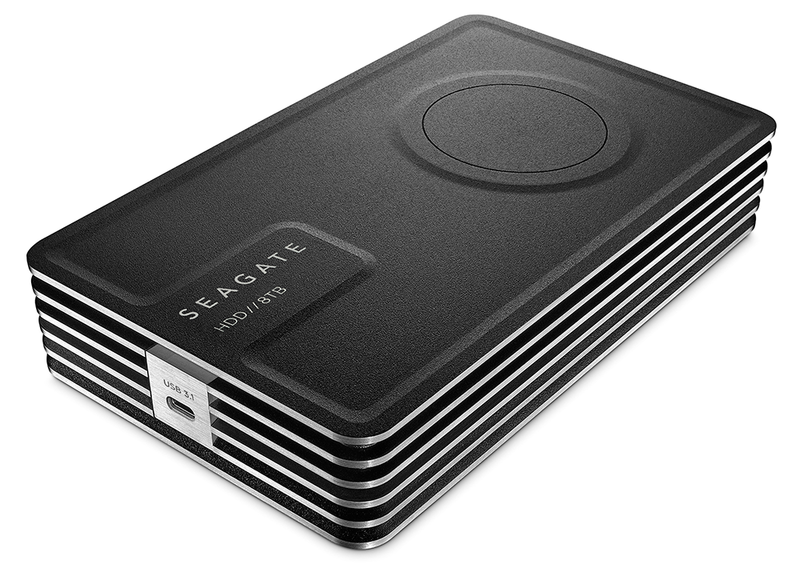 Seagate's patent-pending special ingredient is an internal lithium polymer battery with a 12Whr capacity. Branded as 'Ignition Boost,' the small onboard battery effectively helps get the drive get up and running during the spin-up procedure. Seagate describes the implementation as "similar to a standard car requiring a battery kick to start the engine," and adds that "once the drive is up and running, the speedy new USB 3.1 bus technology works to keep Innov8 humming along - and keep the drive's battery charged." A handy workaround, and given that the battery is only used sparingly, longevity shouldn't, in theory, be a major concern. The bigger issue is one of price. At launch, Innov8 will fetch £350 at UK retail, backed by a three-year warranty. 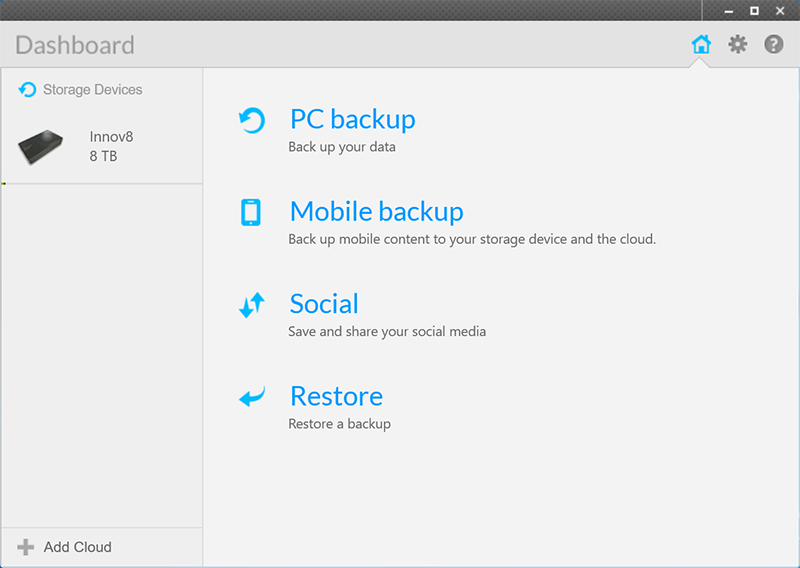 A hefty premium, particularly when you consider that Seagate's traditional Backup Plus 8TB drive is available for under £200. Both are equipped with the same Archive HDD, so you're effectively paying £150 extra for an aluminium enclosure, USB 3.1 performance and the convenience of having only one cable. 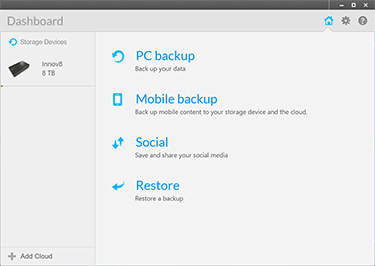 Added incentives include 200GB of Microsoft OneDrive cloud storage and, as expected, a copy of Seagate's Dashboard software utility. 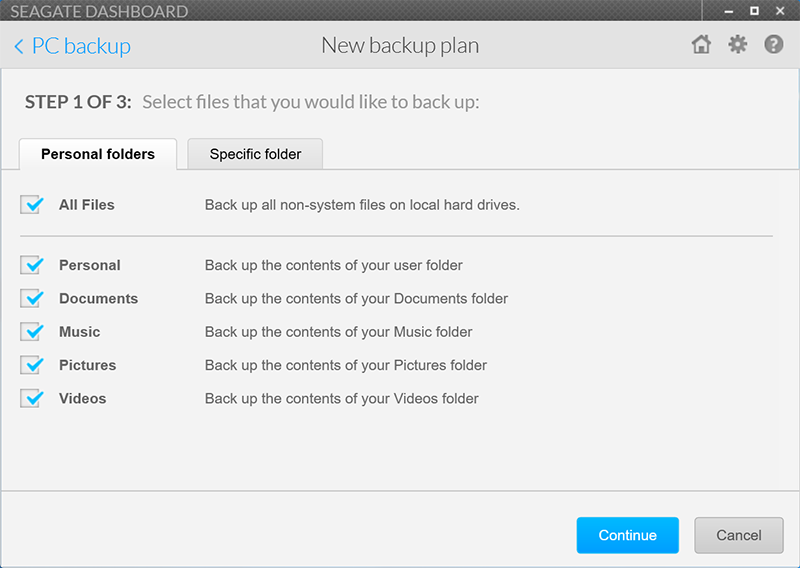 Available for PC or Mac, Dashboard can manage and restore backups, mirror content to the cloud, and there are a few options to tweak the Innov8 hardware. Specifically, the single blue LED can be disabled, a power-saving mode can be activated after a user-defined period of inactivity, and if you run into any issues there's a built-in drive test that will scan the disk without affecting its contents.